It is the night before the class, and you are looking for articles for your 8am science course. You need something that is not only relevant, but also at the appropriate level for a intro science class. A Google search reveals a million hits, and a Twitter hashtag search produces the usual gibberish of results. 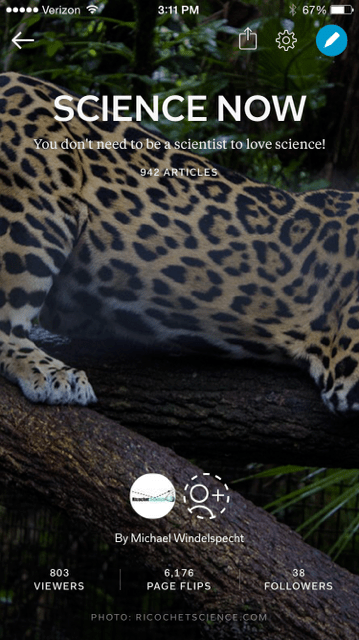 Lucky for you – we have developed a series of four FlipBoard magazines that contain science articles specifically selected for this audience. Dr. Michael Windelspecht is an author and science educator, and he has chosen these articles as focus points for engaging students in introductory classes. 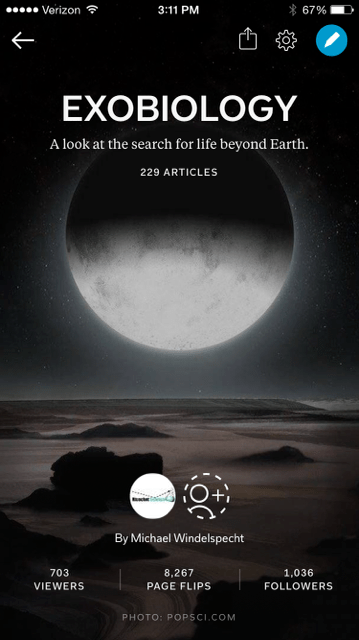 You can find all of these magazines from the FlipBoard app – just search for their title and Ricochet Science. 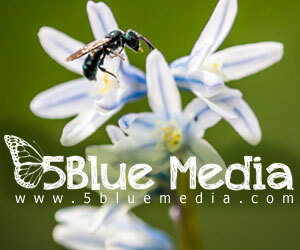 Or you can click on the link beneath each photo for a direct web link. Science Now is designed specifically for the introductory biology classroom. The articles in this magazine span almost any aspect of science – from new technologies to climate change and the future of science. It was not too long ago that exobiology was the stuff of science fiction. Recently, it has become a focus on science news as we begin to seriously explore the possibility of life outside of Earth. In our most-popular magazine we cover all aspects of exobiology – from studies of unique habitats on Earth to the search for Earth-like exoplanets. Occasionally you will also find articles from scientists who are expanding the basic definitions of what life really is. Tired of finches and iguanas? Then our newest magazine is the one you are looking for. 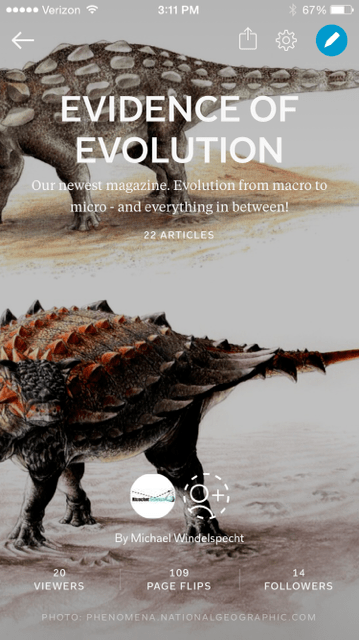 In this collection we cover any aspect of evolution – from macro to micro, dinosaurs to bacteria. 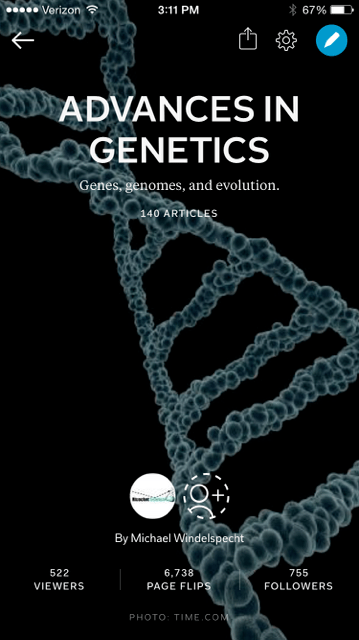 Our Advances in Genetics magazine was originally created for use in genetics courses taught by Dr. Windelspecht at Appalachian State University. But, the articles in this collection can be used at any level of science education. Genetics, genetic engineering and the future of biotechnology are always of an interest to an introductory audience, and here you will find some of the latest advances in these fields. If you use the FlipBoard app, it is easy to follow these magazines directly, or flip them into a magazine that you prepare specifically for your class. It is easy to do – sign in, create a magazine and then when you see something in one of our magazines that you like, click the + sign at the top of the article and select your magazine. We are always looking to expand our FlipBoard collection – so if you have an idea, send it our way.